When people spray through doors, usually they have no idea where their bullets are traveling. 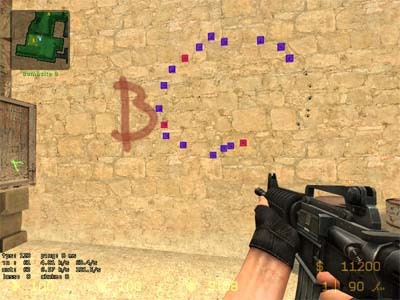 To be an amazing player in Counter-strike 1.6 and Counter-strike Source, it's important to know the in's and out's of each weapon, how the bullets react, and what walls you can shoot through. Few people know of the server command, sv_showimpacts 1. Disabled by default, this command allows you to see exactly where your bullets make impact, including through doors. It's extremely useful for learning where to spray, what surfaces are penetrable by bullets, and learning weapon spray patterns. This command can only be used locally on a server you create, unless you are an admin of a dedicated server and have access to rcon commands. 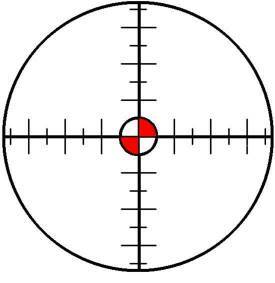 Now you'll actually be able to see exactly where your bullet made impact. As i mentioned above, the benefit of this command is it allows you to see the spray patterns of weapons easier and exactly where your bullets are making impact including through walls and doors. Learning where to shoot through walls is fun, and sv_showimpacts 1 makes it possible. Although i strongly recommend burst firing over spraying, in certain situations, spraying can be more effective. Usually when multiple enemies are attacking you at the same time; spraying can be your only option. Few people realize that when you spray your gun, it's not entirely random. Each weapon has a set of predefined "patterns". For example, the spray of a M4a1 carbine is generally in the shape of a "T", or occasionally a small "p". Knowing this can help you control your spray, rather than randomly holding down the trigger button and "spraying and praying". In a different article i will go over the spray patterns for each weapon and techniques to maximize your spray.